STOP Failing At Making Money Online! 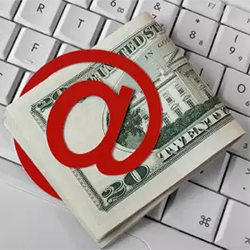 If you read the post “The Money is in The List“, you can see that it is very important to have a list if you really want to make money online. There is NO argument about this. When I first started my online journey, I was scam for about 9 months (serves me right) because I was chasing after the shinny object but then I woke up realizing that I was living in dreamland and began to focus on doing SEO. I was very successful but EVERYTHING COLLAPSED when Google start to update their algo almost every month. Everytime when Google update their algo, my income will drop to zero and that happen so often and the biggest mistake I made was I DID NOT BUILD MY LIST when I was riding high on Google! ALL these changed after I built my list! Trust me this much, when you’ve got your list, you’ve got your personal ATM machine and you just withdraw the money anytime you want! …but trying to figure out how to build my list effective is not easy. It took me about 1 year to finally perfected my list building strategy where I can EASILY get FREE leads EVERYDAY and I’m going to show it ALL to you! ACCEPT My Generous Offer To Reveal The Secret Of List Building To You NOW! SEE WHAT YOU GET FROM MY GENEROUS OFFER HERE!